by Clive Barker, Mark Miller, Haemi Jang, Boom! Studios, US, 2013. 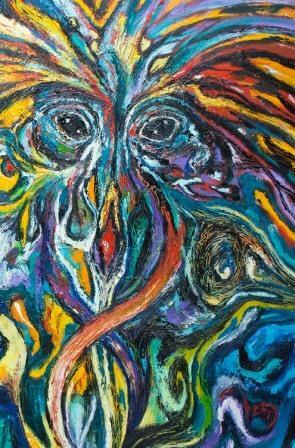 US comic with variant covers (including limited edition Clive Barker art cover and Haemi Jang / Phoenix Comicon exclusive) @ $3.99. by Clive Barker, Mark Miller, Haemi Jang, Boom! Studios, US, 2013. US comic with variant cover @ $3.99. by Clive Barker, Mark Miller, Haemi Jang, Boom! Studios, US, 2013. US comic @ $3.99. 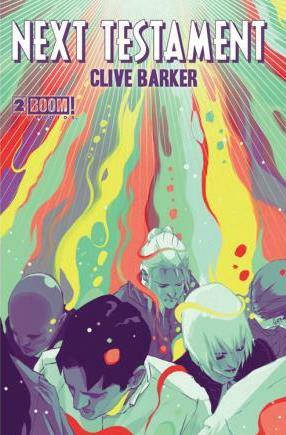 by Clive Barker, Mark Miller, Haemi Jang, Boom! Studios, US, 2014. US comic @ $3.99. by Clive Barker, Mark Miller, Haemi Jang, Boom! Studios, US, 2014. US trade paperback @ $14.99. by Clive Barker, Mark Miller, Haemi Jang, Boom! Studios, US, 2015. 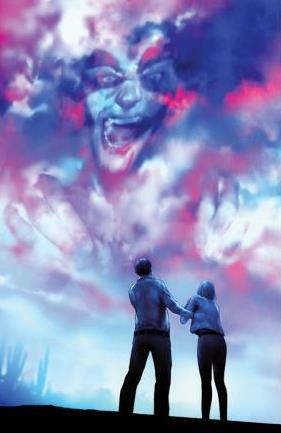 US trade paperback @ $14.99. by Clive Barker, Mark Miller, Haemi Jang, Boom! Studios, US, 2019. 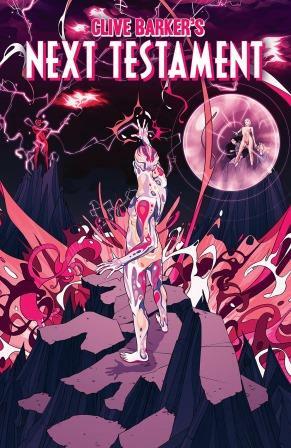 US trade paperback @ $29.99 (Note - expected 28 August 2019). by Clive Barker, Mark Miller, Haemi Jang, Boom! Studios, US, 14 June 2014. On Motion Books platform, available to view for free. by Clive Barker, Mark Miller, Haemi Jang, Boom! Studios, US, 8 July 2014. On Motion Books platform, @ £2.29. by Clive Barker, Mark Miller, Haemi Jang, Boom! Studios, US, 4 August 2014. On Motion Books platform, @ £2.29. by Clive Barker, Mark Miller, Haemi Jang, Boom! Studios, US, 20 August 2014. On Motion Books platform, @ £2.29. by Clive Barker, Mark Miller, Haemi Jang, Boom! Studios, US, 21 October 2014. On Motion Books platform, @ £2.29. by Clive Barker, Mark Miller, Haemi Jang, Boom! Studios, US, 5 November 2014. On Motion Books platform, @ £2.29. by Clive Barker, Mark Miller, Haemi Jang, Boom! Studios, US, 20 November 2014. On Motion Books platform, @ £2.29. by Clive Barker, Mark Miller, Haemi Jang, Boom! Studios, US, 6 January 2015. On Motion Books platform, @ £2.29. by Clive Barker, Mark Miller, Haemi Jang, Boom! Studios, US, 29 January 2015. On Motion Books platform, @ £2.29. by Clive Barker, Mark Miller, Haemi Jang, Boom! Studios, US, 27 March 2015. On Motion Books platform, @ £2.29. by Clive Barker, Mark Miller, Haemi Jang, Boom! Studios, US, 14 May 2015. On Motion Books platform, @ £2.29. Available from all good comic retailers or subscribe direct at Boom! Studios. Read our exclusive interview with Mark Miller here. 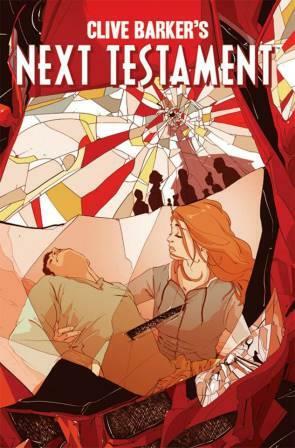 ...and on the cover art for Issue 8 here..
Read an exclusive appreciation of Next Testament by Peter H. Gilmore. Clive : "We're making something that is a radical re-reading of ancient structures. It does have the word Genesis in the title, after all. That should be a dead giveaway. I love the idea of stories being about great beginnings and terrible endings." Mark Miller : "[The basic concept is what] if God were to come back and tell you how we all got it wrong and what everything really meant." Matt Gagnon (Editor-in-Chief, Boom! Studios) : "He's sort of going back to Earth and seeing everything for the first time, so he's having all these new experiences; what's really interesting about his story is how the world reacts to his judgment and seeing the world through his eyes." Mark Miller : "I was fresh off my stint as the writer for Hellraiser and Clive and I work incredibly well together so we were looking for what our next project would be. We'd actually been kicking around ideas for New Genesis for quite some time and it was the right thing at exactly the right time. I was a free agent, BOOM! was asking Clive for original content, and the stars aligned. "This is something that Clive and I sort of came up with together. I volunteered to be a living canvas for Clive and, when he was finished painting me, what we had was Wick, the primary antagonist of New Genesis. So he's entirely Clive's creation, but from that moment on, both Clive and I were obsessed with finding out who this character was and what his intentions were. Through tossing ideas back and forth, we came up with a brutal story that really stuck with both of us. And as it turns out, Wick's intentions are less than benevolent. Any more and I risk saying too much, so you'll have to read if you want to find out the rest." Ross Richie (CEO, Boom! Studios) : "The funny thing about Clive's New Genesis is that it was actually what we got together with him for. Hellraiser came out of the New Genesis discussions. We were talking and talking, and he felt very comfortable. So he said, 'Let's hold on this idea. Why don't we do Hellraiser instead?' And he's so proprietary on Hellraiser that it felt so good. The first time I went over to his house, you think about 'What's this meeting going to be about?' and in your wildest dreams there's no way you think you're going to get Hellraiser. Not right out of the box. So we were talking about doing original projects first, but it's funny how the timing works out." Richie & Sablik Discuss The Evolution of BOOM! 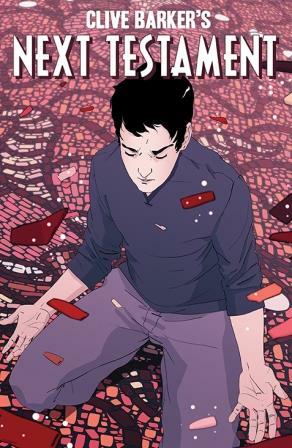 Mark Miller : "As for the story itself, it's huge, so it could really only fit a 12 issue arc. If the title tells you anything, we are sort of inventing our own mythology here. Or... possibly the mythology is inventing us. 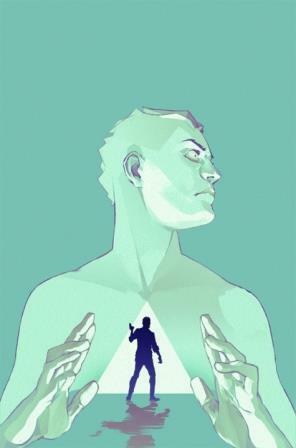 One never really knows when it comes to a story this powerful." "We're not doing a lot of [limited incentive issues]. In fact the only one I can think of right now that's a little higher is for New Genesis with Clive Barker. He painted an original cover for the first issue. We're actually going to bring the copies over to his house and he's going to sign all of them. It's a pretty rare, limited item. That's going to be a higher incentive." Filip Sablik (Boom! 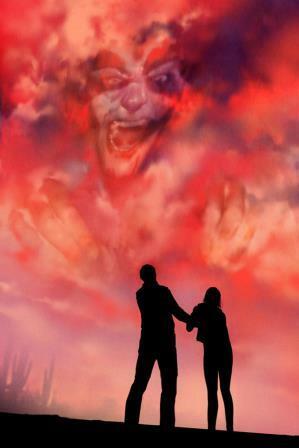 Studios) : "We also announced a new Clive Barker series launching in May. 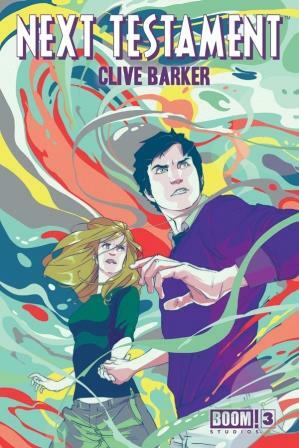 This is the first time Clive has created and written an original series that launched as a comic book first. It's a real honor to be working with someone of Clive's caliber to begin with, but to have him trust us with launching a new property is really exciting. That one's called New Genesis." Ross Richie (Boom! Studios) : "I think the best way to describe [New Genesis] is something that fans of Preacher will enjoy. The way that we pitch it is there's a billionaire who's on walkabout and finds an archaeological dig. There's a tomb with a stone that's sealing the contents and he opens it, even though it clearly is not supposed to be opened. When he opens the tomb, there's a strange person in there who says he is God. We get to see Clive Barker writing about the Old Testament God unleashed on Earth and interacting with modern society. There'll be a lot of chaos and mayhem that ensues." Goñi Montes : "A few months ago, Bryce Carlson and Chris Rosa of BOOM! 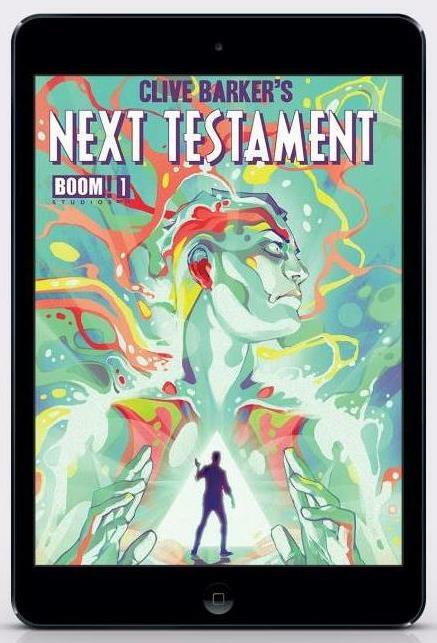 Studios contacted me about a couple of covers for their upcoming comic Next Testament. Not only would those be my first ever comic covers, but the story comes from none other than Clive Barker! 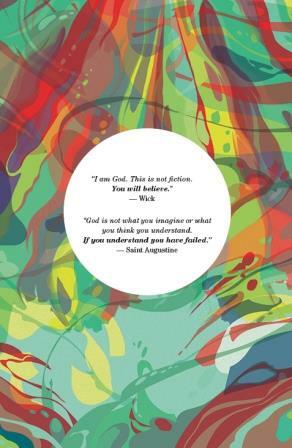 "The story is about a god as beautiful as it is cruel. It is an excellent rendition of an incredibly superior being whose machinations we cannot even begin to understand. The visual called for a lot of color and although my work does not lack it, the heavy lines can often hold vibrance back. To avoid that from happening, I decided to take back the lines a bit by painting the whole thing in one layer over my original lines instead of my usual process of leaving the lines on top of the drawing." Press Release : "'A single dream can spark a revolution.' 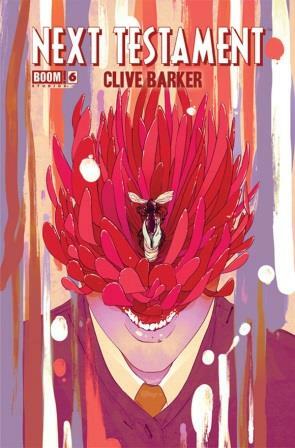 Those opening words from the first original comic series by the legendary Clive Barker best describe the sheer excitement we have in releasing NEXT TESTAMENT. Imagine a man with enormous wealth and power steals away to a remote, barely habitable part of the world and while there, unearths God. Yeah, that guy. And now that God is back, God help us all." BOOM! 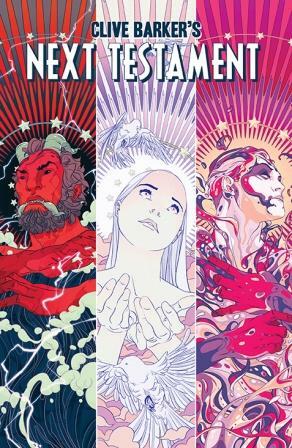 Studios : "We're real excited to share this one with you: Clive Barker's NEXT TESTAMENT #1 exclusive Phoenix Comicon variant cover done by the interior artist herself, Haemi Jang! While this one will only be available at Phoenix, you can pre-order our other covers or six issue subscription." "It's a very sincerely felt comic and if it offends people, which it probably will, then they're not reading it right." Matt Gagnon (Editor-in-Chief, Boom! Studios) : "It has elements of dark fantasy and horror, it's intelligent, and sophisticated and like all of Clive's work it has something to say." Mark Miller : "Head to toe, I was painted in tribal-looking blue and red and yellow and all these earth-tone paints. We're standing there and Clive was just free associating these paintings. "Clive said what if he was part of the original trinity and he'd been banished and the other two were still out there free and this guy is like God and the devil rolled up in one?" Mark Miller : "I have a pretty dark sense of humor. It's obvious Clive does as well. It's just the lens through we which we see the world. You're either going to scream about things, or you're going to laugh about them. Sometimes, it's both. All of this stuff comes from a personal place. It's just us expressing our points-of-view. "Next Testament could, I suppose, be considered an offensive story to some. It's certainly pushing some envelopes. There are certain aspects of the story that people might not want to go near. But that's one of the things we love about Boom! Studios. They're letting us go crazy with it." ...since, once the colors came in, it started looking morbid, like some sort of circulatory system. It was a very pleasant surprise. I wish I could show how Wick's colors came about with a more detailed, visual explanation. Unfortunately, I go crazy painting this guy and I end up doing it in one single layer. Even worse, I always forget to take screen shots. I'll try to remember next time. I decided to enhance the circulatory system concept by adding colors associated with blood: plums, blues, and tons of scarlet reds... and specks and droplets always come in handy!" 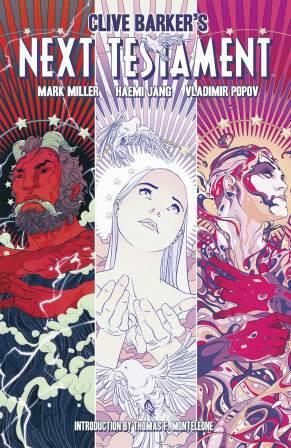 Peter H. Gilmore : "Clive Barker and Mark Miller have diligently taken on the responsibility of deity fabrication in their graphic novel, Next Testament, capturing aspects of divinity reflecting their understanding of the human animal. 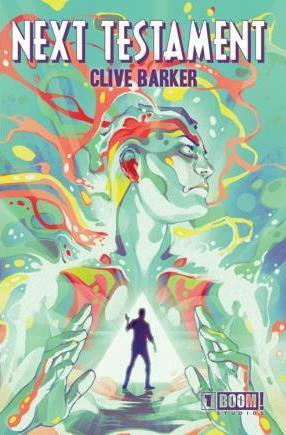 One of Barker's strengths has been his re-imagining of aspects of historical mythology in ways that offer emotional and intellectual impact for contemporary readers. Angelic and demonic beings have astounded and terrified believers throughout recorded history, but past imagery today fails to evoke much response. Lovecraft understood this. 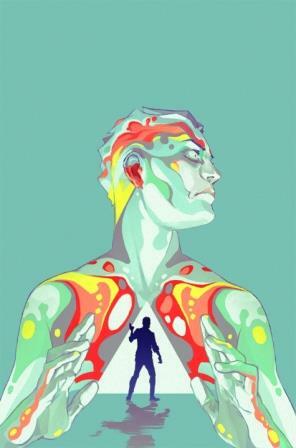 His tales spoke of alien entities of cosmic potency whose very essence was incomprehensible to human consciousness. Contemplation would incur madness, and such was often the fate of his protagonists. Barker follows The Old Gent's example. 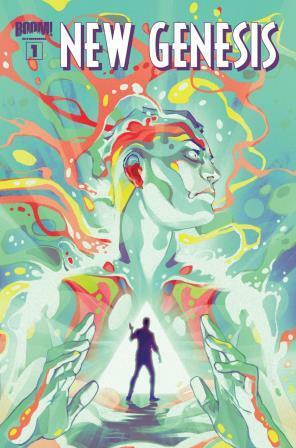 His fiction renders beings of terrible beauty or exquisite agony, sometimes in combination, as avatars of realms impinging on mundane existence, offering humans a means for self-transformation." 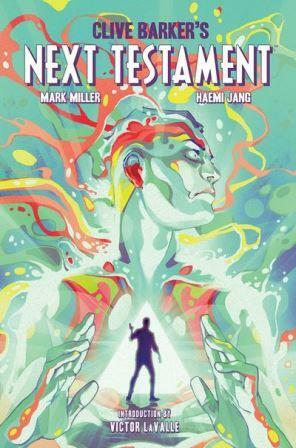 Mark Miller : "[Next Testament] is perfect for me... It's designed to be twelve issues, I look at it like a movie - it's got a beginning, it's got a middle and it's got an end - there's no ongoing anything. It's the ninety minute chunk that my mind knows how to deal with. The technical part of it, the laying out the panelling - I didn't actually read that many comic books when I was a kid. 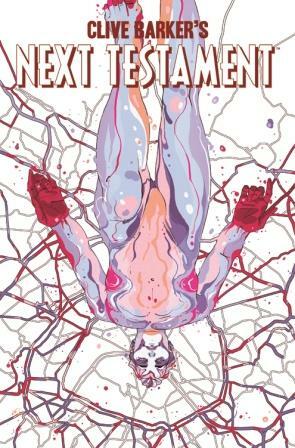 I had a small comic book phase and then it was all movies all the way, so it's just, you know, bending your muscle in a different direction and bleeding those words out of your forehead - but I'm having a much better time with Next Testament [than Hellraiser]." Clive : "Never before have I seen anything like this. 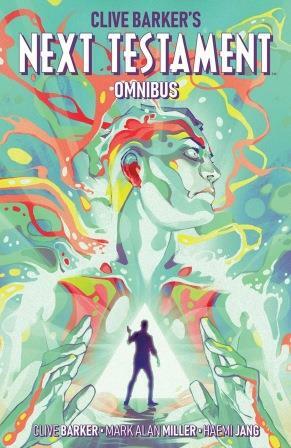 Madefire has created a radical way in which to read comics and I'm excited beyond words to be a part of the revolution." Filip Sablik (Boom! 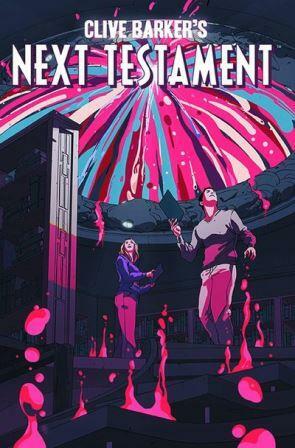 Studios) : "The horror genre has always benefited greatly from the use of sound and movement to enhance the shock and suspense of a scene, so Clive Barker's Next Testament was a natural and fitting title to begin our relationship with Madefire. I look forward to working with Madefire to make more of our great titles available as Motion Books." Liam Sharp (Madefire) : "Barker and Miller have written a cinematic epic, and the addition of sound, camera-work, and timing only infuses the story with more dread and urgency." 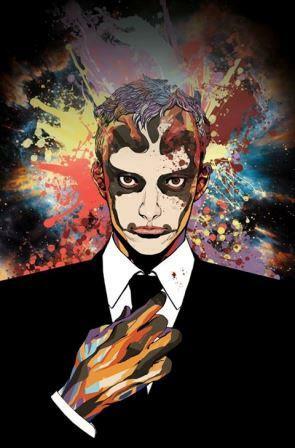 Mark Miller : "Madefire did an incredible job adapting the comic to form. It was like reading the book for the very first time, which is insane, because I wrote it!" 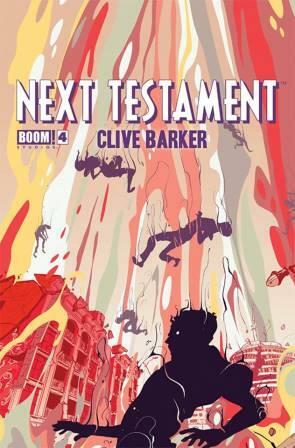 Clive : "Next Testament is three issues from finishing. Well it's written, the last three issues are written so it's being drawn and... I would say that it's a surprise that it was responded to so popularly. "There'll be no sequels to this, there'll be no revisits, nothing like that - this is the story. And it ends very - very appropriately, shall we say? And I think Mark has done an amazing job. And the artist, Haemi Jang, I mean she has - I've never seen art like that in a comic - beautifully simple, beautifully coloured."